In November of 2007 I took one of the most difficult decisions I have ever had to make as a leader. 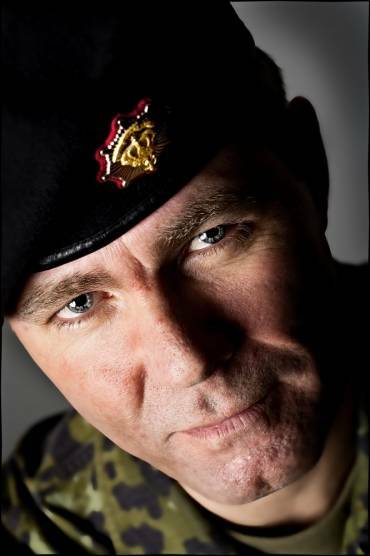 I was heading up the Danish battalion in Helmand Province in Afghanistan, and as battle group commander I was responsible for the approximately 2,000 Danish, British, Czech and Afghan soldiers who were locked in conflict with the Taliban every single day. The battle was taking place in perhaps the most dangerous warzone in Afghanistan: the lush, green valley along the Helmand river, popularly called the Green Zone, and which our British predecessors had quite matter-of-factly dubbed ‘the Valley of Death’. Unfortunately, the valley lived up to its name. A whole string of fellow soldiers had been killed or wounded since our arrival in August. It quickly became clear to me that I needed additional resources in the form of main battle tanks. The sixty-three-ton tanks with their night-vision equipment and weaponry would be able to support the infantrymen deployed in the zone, an area of dense vegetation. I saw them as necessary reinforcements that could boost our offensive against the taliban, saving the lives of many soldiers and Afghans. Thankfully, there was support back home to meet my request. A platoon with five tanks landed a couple of weeks later in Kandahar, intending to drive as part of a larger convoy through the commercial town of Gereshk and across an important bridge over the Helmand river towards our headquarters in Camp Bastion. A few days before the convoy was due to embark on the 140-kilometre trip, which for security reasons had to be made in a single stretch – the threat from the Taliban was constant – I was approached by a few worried-looking staff officers. ‘We’ve got a problem,’ They said. ‘What kind of problem?’ I asked. I took a deep breath and had to swallow more than once while they explained that the bridge, which had been built during the soviet occupation and was one of southern Afghanistan’s main transport routes, was classified as suitable for vehicles no heavier than 45 tons. in other words, although the tanks would be crossing the bridge one by one, we would still be well over the maximum weight limit. ‘We can’t let that happen,’ I thought. Of all the news I had been given day after day by my staff of thirty-seven experts, this information was perhaps the most unpleasant. The pressure on our soldiers in the Green Zone was enormous. Sending in tanks to support them as soon as possible was, as I say, a matter of life and death. And now I was being told they couldn’t cross a bridge without the risk of collapse. That just couldn’t be right! My first impulse was to ask my staff, and the engineering specialists they had consulted, to take another look at the situation. Was it possible they had overlooked something? Maybe their analysis was wrong? In war there are rules dictating what a leader can and can’t do. But if needs must, he or she can choose to waive them. In practice, this means that I could have decided to make an emergency reclassification of the bridge in light of the operative urgency, ordering the tanks to drive over it as originally planned. The problem was that we weren’t talking about a few extra tons. We were right up against the edge of what was possible. That was the situation. There was no more advice to be had from my staff. There was no way round it. I had to make a decision. Finding an alternative route, if that were even possible, would have been time-consuming, logistically challenging and very risky. it would increase the likelihood of an attack by the Taliban. If I decided that the tanks should ‘wade’ (or swim) across the powerful Helmand river, they might be swept away by the current. moreover, the soldiers in the warzone were in desperate and immediate need of them. On the other hand, if the bridge collapsed the consequences would be catastrophic. First and foremost, of course, it would be disastrous for the team in the individual tank, who would most likely be killed, and devastating for their relatives. It would also be a major national scandal. There had been some opposition in certain military and political circles to deploying tanks. Just imagine the fallout if they went crashing through one of the country’s most important bridges before they had even made it to their destination. It would put my decision in a very bad light. They might justifiably ask whether we had reconnoitred the area at all, and it would cast a dark shadow over the Danish military presence in Afghanistan – maybe even over the Danish armed forces as a whole. Moreover, a collapsed bridge would be a catastrophe for the area. If we cut off a major transport route and paralysed the infrastructure in southern Afghanistan, it would be difficult for people to transport their goods. It would cause an uproar and could easily trigger unrest. And for me, personally? When you’re in a leadership position during a time of war, you have to take decisions every day that could mean the loss of human life. This was a decision that – if it went wrong – would forever over- shadow everything else in my career, no matter what I had done before and no matter what I did next. All possible precautions were taken. The whole thing was planned down to the tiniest detail, as military opera- tions always are. The bridge would be crossed at the dead of night, to minimise the threat from the Taliban. The tanks would cross one at a time, driving at a consistent, low speed. They mustn’t turn and they mustn’t come to a sudden halt. The operation was a success! The bridge held! On 12 November 2007, a little before six o’clock, the convoy – with the five tanks at its head – arrived at our headquarters in Camp Bastion. It was a relief, of course. But I was even more pleased when the tanks proved their value just a week later, when they were first deployed. They made exactly the impact – for the remainder of that year and the next – that our analysis had predicted they would. Why did I choose to start the book with this story? You’ll have to read the book find out! 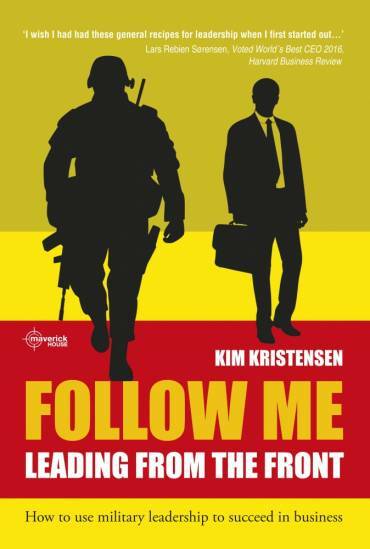 Follow Me: Leading From The Front is now available here.